ItÂs only November 11th, but already three Baymen Garden owners have dropped in this month. Today IÂd like to introduce you to a delightful couple who are Baymen Garden owners. 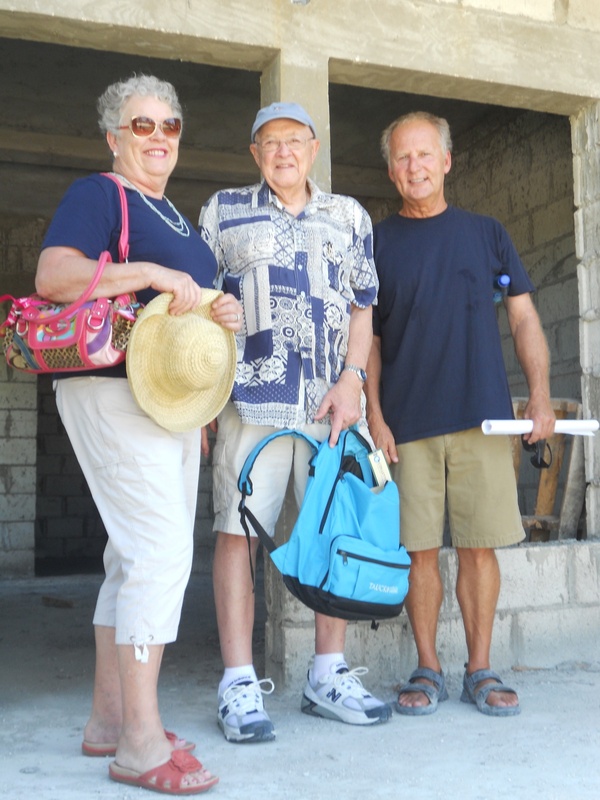 They recently visited, to check on the progress of their handicap access condo unit in Building A.
Jim and Mary Eckart initially visited Belize to attend one of our joint financial investment conferences. Â They immediately fell in love with the simple, laid-back life of San Pedro, as well as the friendliness of the local residents. 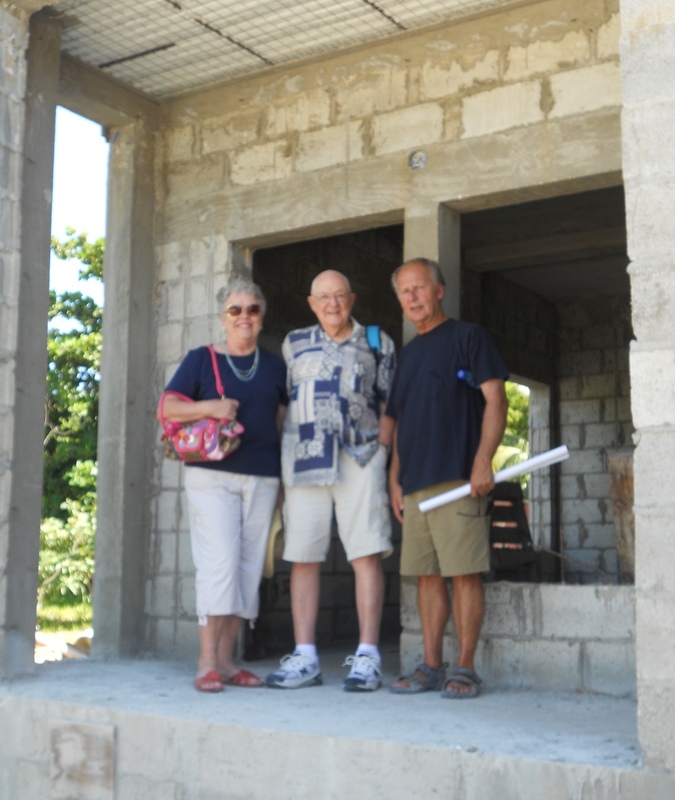 They liked the Caye so much that they bought a Baymen Garden condo on that trip. This lively couple is in their golden years. Although over 70, they arenÂt the ones who need handicap access. Jim and Mary have three children and four grandchildren. One of their grandchildren, James, has cerebral palsy. He lives life in a wheel chair. Grand Baymen offers a handicap unit option for our owners. So Jim and Mary chose to modify their unit and have it equipped with handicap facilities, for their grandson. We are very pleased that Grand Baymen will now have a handicap access unit in or rental pool, when Jim and Mary are not Â visiting. Â As far as we know, there are no other handicap access condo units available on Ambergris Caye. Jim spent 30 years of active duty in the Navy. Â He was an aircraft carrier aviator. Jim was promoted to Captain during his first tour in the Naval Air Systems Command. So, we werenÂt surprised that heÂs very detail oriented and with it. You get the picture. Â Clearly, heÂs traveled the world. But now heÂs travelling as a tourist, rather than a fighter pilot. Mary always has a twinkle in her eye, and an irrepressible zest for life. ItÂs clear that Mary and Jim are relishing their golden years. ItÂs a pleasure to watch this couple living life to the fullest. Late in his Naval career, Jim spent ten years Âflying a deskÂ in the Naval Air Systems Command. He worked in Arlington, VA, and in the Pentagon. First he was on the staff of the Chief of Naval Operations. Later he moved to the Office of the Secretary of Defense. Then he retired from the Navy. Following his Navy retirement in 1981 he worked for a defense electronics contractor. He was an account executive for defense electronics for the Navy.